STUTTGART, Germany—Daimler cut its dividend on Feb. 6 after fourth-quarter operating profit plunged by 22 percent, hit by trade wars, rising costs for developing electric cars and an industry downturn that has dented even the most profitable carmakers. Daimler said the return on sales at Mercedes-Benz cars fell to 7.3 percent in the fourth quarter from 9.5 percent in the year-earlier period as emissions tests led to supply bottlenecks and prices for luxury vehicles deteriorated. This, combined with a cut in the dividend for the 2018 financial year to 3.25 euros a share from 3.65 euros the previous year, disappointed analysts and sent the German carmaker’s shares down more than 2 percent. Mercedes-Benz sold 2.31 million passenger cars last year, making it the top-selling premium automotive brand in 2018, although some analysts are questioning how much longer German manufacturers can dominate the luxury car industry. Daimler said it was working on “countermeasures” to increase profits but could not mention details about possible cost cuts because they were still being worked out. “Daimler’s 2018 results, dividend cut and 2019 guidance encapsulate everything that’s going on in autos right now. Daimler ended 2018 quite weakly. Growth has stalled and costs are rising. Free cash flow is deteriorating and visibility is poor,” Max Warburton, an analyst at Bernstein Research, said. The profitability of Daimler’s cars division lagged peers and although trucks recovered, the profitability was also below that of rivals, Evercore ISI analyst Arndt Ellinghorst said in a note discussing the German carmaker’s earnings. Daimler expects 1.45 billion euros ($1.7 billion) in headwinds from increased currency and commodities costs this year, Chief Financial Officer Bodo Uebber said. For 2019 Mercedes-Benz Cars expects to achieve a return on sales of between 6 percent and 8 percent and a return on sales of between 5 percent and 7 percent for Mercedes Vans, Daimler said. “With our guidance for Mercedes-Benz Cars and Mercedes-Benz Vans we are below our long-term target margins. We cannot be satisfied with this. Our goal is to return to our target margin corridor of 8 percent to 10 percent by 2021,” Daimler Chief Executive Dieter Zetsche said in a statement. For 2019 Daimler said it expects a slight growth in unit sales, revenue, and EBIT. To counter falling sales and shrinking profits, carmakers are showing increased willingness to explore strategic alliances with rivals as a way to spread the cost of developing next generation cars, buses, and trucks. Daimler said it was in talks with China’s Geely about potentially broadening an alliance beyond ride-hailing. Geely’s chairman owns a 9.69 percent Daimler stake. “We are in talks about other topics which have a bigger dimension,” Zetsche told journalists about the Chinese talks, declining to elaborate further. Daimler is also talking to potential partners about how to bring down the cost of autonomous driving research even though the German carmaker remains happy with a current development alliance with supplier Robert Bosch, Zetsche said. Google’s Waymo is ahead of established carmakers in terms of its development plans for autonomous cars, Zetsche said. 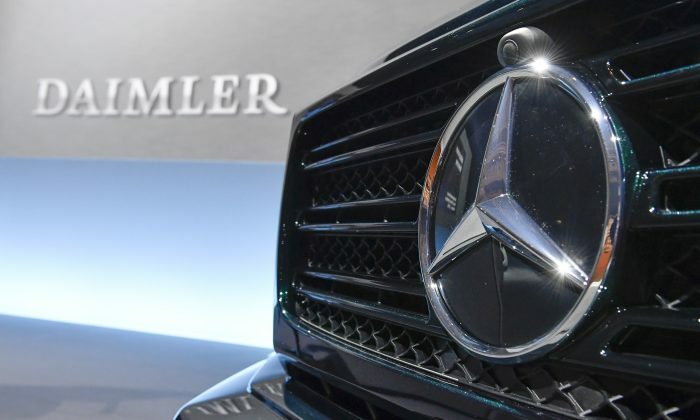 Daimler’s earnings before interest and tax (EBIT) dropped to 2.67 billion euros in the fourth quarter, below analysts’ expectations of 2.92 billion euros. Mercedes-Benz passenger car sales rose 4 percent in the fourth quarter but increased tariffs on vehicles exported from the United States to China and delivery stoppages for individual diesel models hit demand and resulted in weaker prices. Mercedes-Benz exported around 30,000 GLE and GLS sports utility vehicles from the United States to China last year. Daimler has no current plans to manufacture these models in China as a way to mitigate the impact of tariffs, Zetsche said. Research and development spending rose 4.5 percent to 9.1 billion euros last year as the carmaker prepares to launch its first fully electric sports utility vehicle this year. Daimler shares were down 2.4 percent on Feb. 6, underperforming a 0.4 percent drop in Germany’s blue-chip DAX index.